The art of lacing needlework on linen is not dead at Framers Edge. 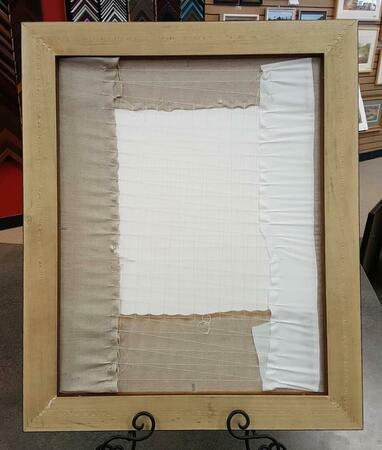 We have extensive experience with this archival technique of framing needlework. Samplers on linen have been laced using this method from colonial times. A great deal of time and effort is put into creating one of these masterpieces, as anyone who stitches can attest to, so the pieces should be handled in the way that they deserve. We lace the linen on acid free foam board, using a cotton thread. This allows the fabric to "breath" with differences in humidity. If necessary, a piece of cotton fabric may need to be added to provide enough length or width to securely and evenly stretch each piece.